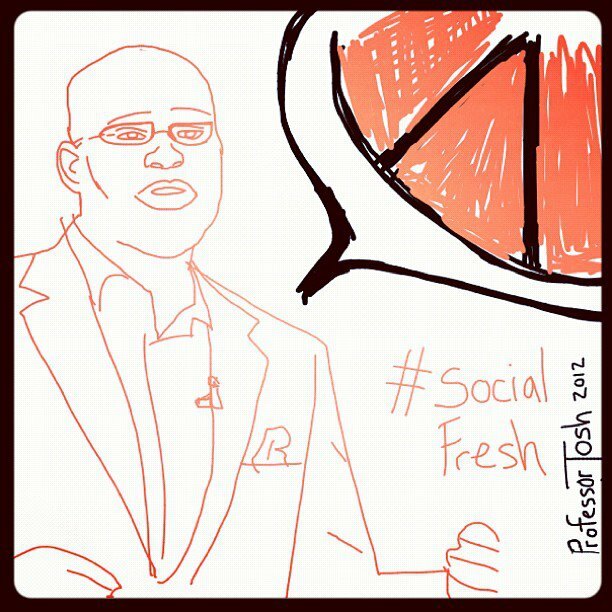 I recently attended Social Fresh East, a conference all about social media. 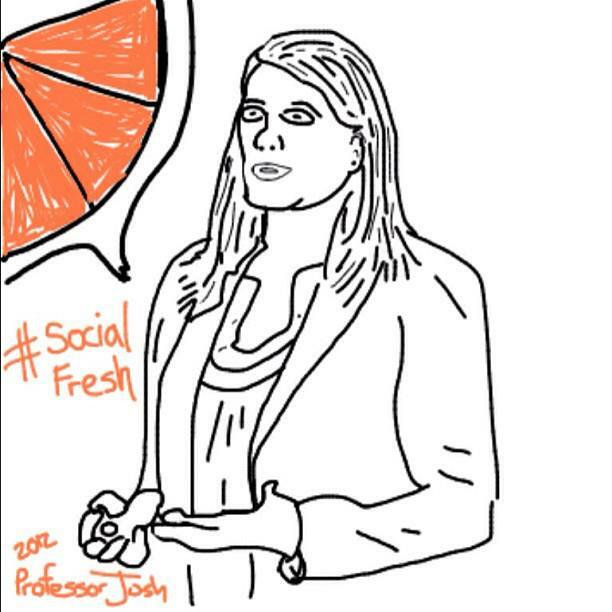 Social Fresh had 14 jam packed sessions from some of the top social media minds in the industry from around the country. I plan on putting together some of my thoughts and favorites in a future post. I wanted to post about one of my surprised creations that seemed to be a hit. I took a variety of photos through the two days at Social Fresh. I posted a bunch through Instagram with the hashtag #socialfresh via my iPad Camera Connection Kit for my SD Card. 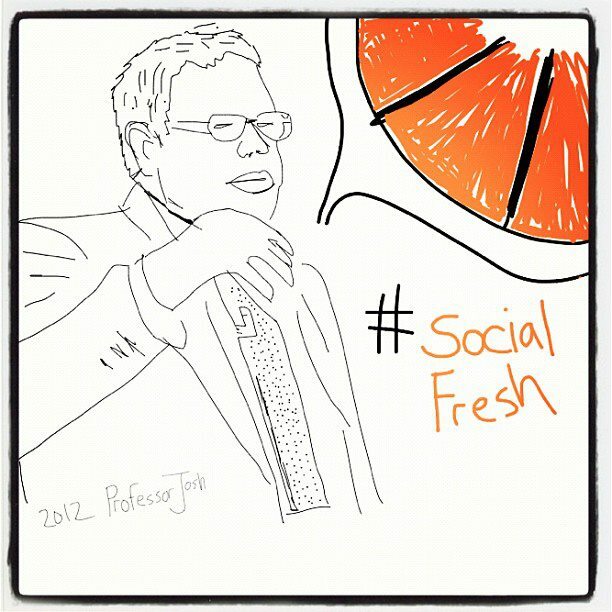 I decided that I want to play around sketch one of the photos that I felt best represented Social Fresh. 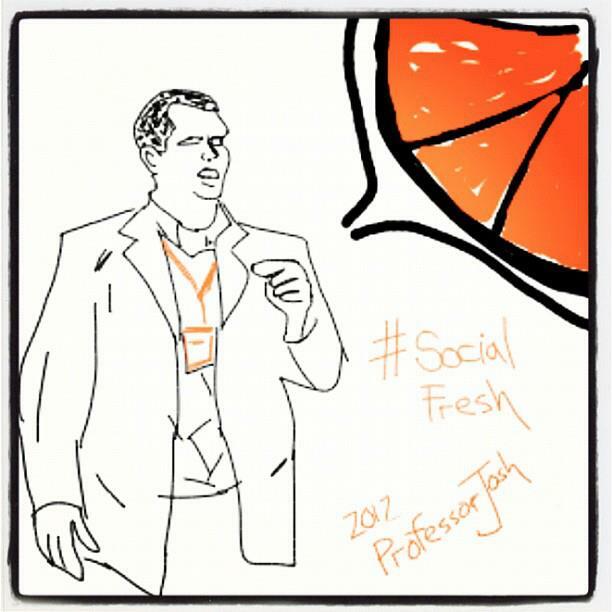 Chuck Hemann (@chuckhemann) had a great orange argyle sweater that was screaming Social Fresh! Chuck loved the sketch and has made it his official Twitter avatar. 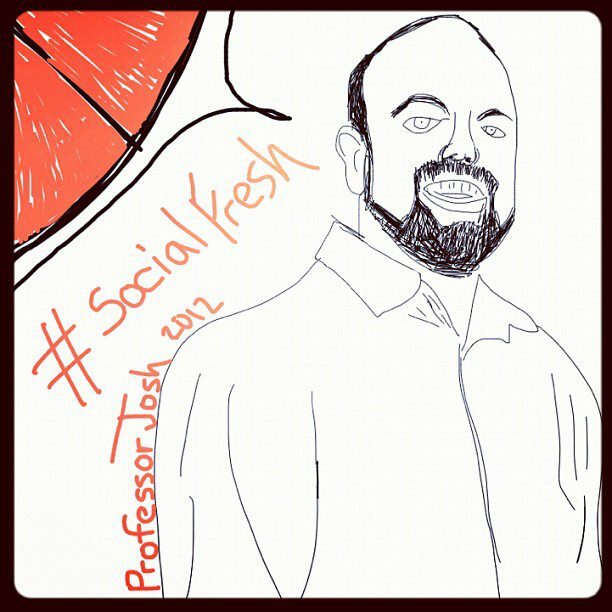 I decided to sketch a few more photos from Social Fresh. 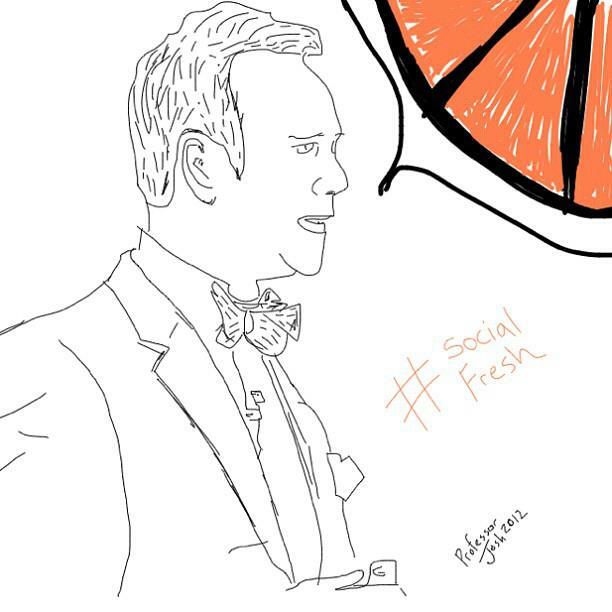 I still might sketch a few more of the speakers from Social Fresh or might start a new trend of me to sketch someone at events. I’m curious of what all the speakers think of their sketches. I’m not a professional sketch artist but thought it was a fun twist on normal photo. 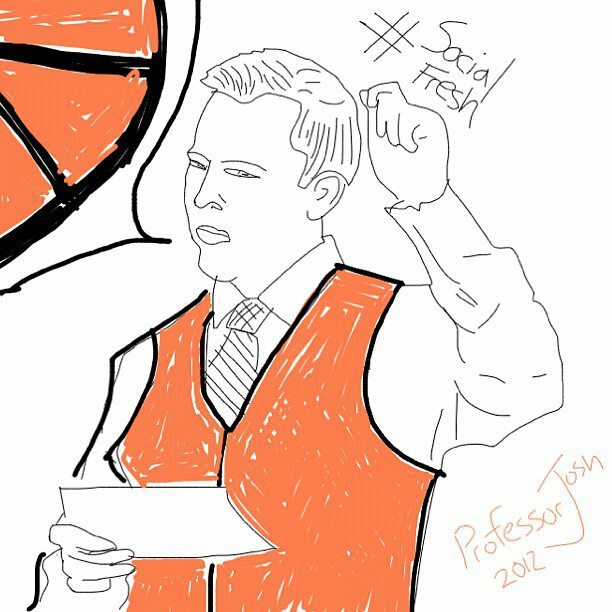 And we have our winner for the best #socialfresh image of the conference from Josh Murdock, an illustration of Chuck Hemann via his iPad. Orange slices and Argyle, Josh captured the event well. Josh will get to choose between two prizes: 3 months of Social Fresh Academy for free, or a free full access pass to Social Fresh WEST in San Diego this Fall. Awesome!! If any of us ever do any heinous crimes, I want you as courtroom sketch artist!